I’m blown away by how my front yard looks! 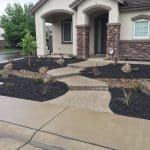 My husband and I wanted to have a front yard that was maintenance free and drought friendly. 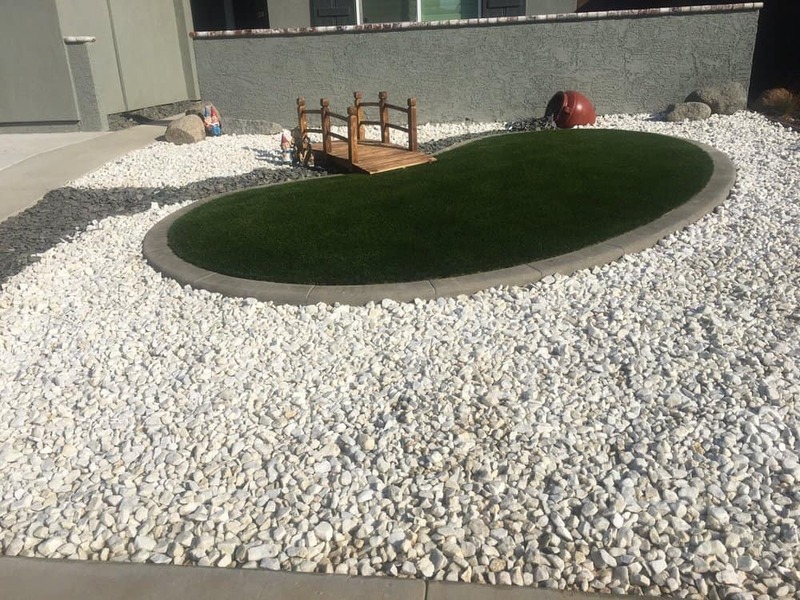 Therefore, we figured our only options were rock, sand, concrete or turf. We searched the internet for different designs so we had a pretty good idea of what we wanted. 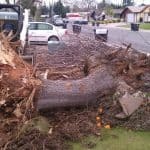 We requested a few quotes from different landscaping companies. The first company knocked down all of our ideas, saying, “you don’t want that because it’s too expensive” without even giving us a ball park estimate. 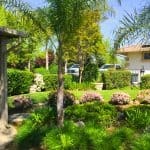 Another landscaper said, “it will look ugly if you don’t have any plants.” Ugh!! We were so frustrated that we were just going to throw in the towel and stick with what it’s current state was, mulch heaven… Until, my neighbor recommended Salen. 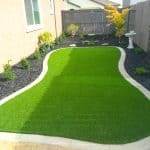 I was a bit skeptical at first because multiple landscapers have disappointed us, but, after my husband and I met with Salen it was like we were seeing stars for the first time! 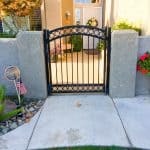 We couldn’t believe how open he was to our suggestions/ ideas, even making recommendations of what he thought would work out for us while sticking to budget! Not once did he make us feel like our decisions were horrible or stupid.. he also took us to look at a similar project he worked on to show us possibilities. Seriously, who does that?! It really shows the awesome customer service he and his company provides. Oh and they are totally in with the times, I can text him with any questions I have and expect a response in a timely matter. Anyway, I can go on and on but I’ll let you decide for yourself if you want superb service from Salen Landscaping!!! 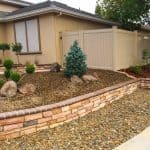 Yelp Reviewer: Michelle And Rob N.
Very pleased with the way our back and side yard turned out. We requested mostly concrete with the back with stamping and a small patch of dirt for fruit trees. They delivered and quickly. Cleaned up after their project. We didn’t ask for anything complex but very happy with how it turned out. WOW! 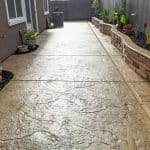 Who would have ever thought getting somebody to come out to our house to give us a quote on doing an addition of a flagstone patio in our backyard would be so hard. After searching for weeks and dealing with other businesses that wouldn’t even come out to our house, and the few that did did not even listen to what we wanted and quoted us astronomical prices, we found Salen’s. 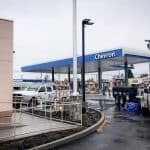 Mr. Singh came out when he was scheduled, gave us an honest itemized quote, came out a second time to answer additional questions we had, and came out a third time to sign the contract. I will keep everybody posted as we embark on this and post pictures along the way. TY Mr. Singh for treating us with respect. I hired Salens Landscaping to build a 57 foot long retaining wall in my backyard. 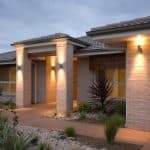 They were quick to respond to my house for an estimate and started work within 3 weeks after I signed the contracts. They had to disassemble part of my new fence to get the Bobcat in the backyard, but they put everything back together just like they found it. They said it would take 4-5 days to complete the work, but they were done in 3 days and it looks great. Wow! I am SO pleased with Salen’s work. His crew was out here working their tails off every day and were warm and friendly. 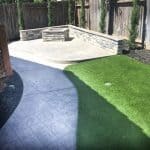 Their work looks absolutely wonderful… I went from having a barren dirt and weed filled yard to a beautiful extended patio, walkway, gravel side yards, automatic sprinkler system, a mow strip, and a beautiful lawn. The price was fair, and he was the lowest bid by over $1000. 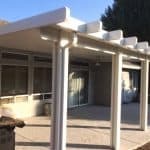 They did exactly what was outlined on the contract for exactly the price they quoted, no last minute add-ons, no hidden expenses, just exactly what we agreed on beforehand. I am SO pleased with the work, and I will highly recommend Salen’s to anyone who asks! 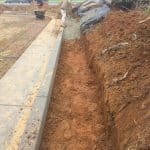 We had this company come out and lay concrete on our side house with a walkway to the front and lay concrete in our walkway area. The thing that caught my attention with this company besides their unbeatable price was that they always showed up exactly when they said they would and sometimes early. The concrete they laid looks amazing and we couldn’t be happier. It was all done in a short time and to perfection. We now can have a play area in our side and front walkway area so we can start looking for designs to accommodate. I would definitely recommend this company to anyone and everyone that needs landscaping! 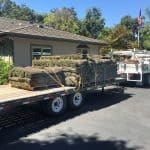 Salen came out the same day I called and his price was more inexpensive than other landscaping companies. My side yard is no longer an eyesore and I’m getting compliments from the neighbors. 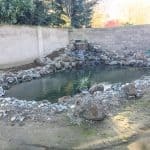 Salen was personable and did everything he said he was going to do: river rock, plants, drip system, boulders, and trees. He doesn’t know it yet but I have more work for him! 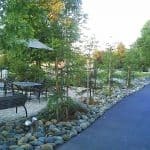 Yelp Reviewer : Phyllis N.
Salen’s Landscaping successfully completed two landscape projects, I am happy with the design and workmanship of both projects. 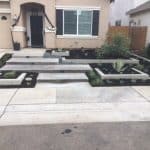 The first project was the original landscape that included: install sprinkler system, sod, concrete, mowing strips granite rocks and my favorite were huge planters boxes The second project was installing bricks along my walkway and creating a new concrete patio. He is easy to work with. Just had my driveway redone. The scope was to break-up, remove and haul away the old cement (Wednesday). 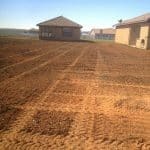 Then form in the new layout, add gravel, #4 rebar 18″oc (Thursday), pour 4″, 6 sack cement, about 850sf (Friday) and remove forms, complete clean-up (Monday). I’m very pleased with the finish product, thus far. I went with a basic brushed finish, because I find it has more use benefits. What impressed me most, was the gentlemen, Juan, who did the layout, pour and finishing work. He was very thorough, personable and knowledgeable. He measured from all angles, lined off the measurements and double-checked them. I really appreciated him taking the time to get it right, rather than rushing through it. He was excellent at his trade. I was equally impressed by the owner, and son, who were very attentive and courteous. 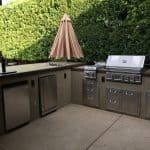 Let’s face it, any type of remodeling comes with a level of stress for the home owner, and the last thing we need to deal with is an impatient, mightier than thou contractor. 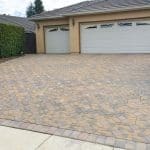 Salen’s landscaping made this transition a positive one, at a very reasonable price! I am very happy with Salen’s. He was very responsive to our requests, came out immediately to give us an estimate. He was not the cheapest, but not close to the highest estimate that we received. We chose him because of his reviews and are not disappointed. The crew showed up every day on time and worked all day. Salen answered all of our questions and stopped by throughout the project to make sure everything was done to our expectations. I would not hesitate to recommend them to anyone. Everything was as promised and as expected. Thank you very much, Salen! We love the yard. Needing our backyard landscaped, we called 8 landscapers. 5 never called back, 1 said he was too busy and 1 said they could come out to do an estimate in a month. I had seen a few Salen signs around the neighborhood and just happened to catch Arron Salen as he was getting into his truck at a neighbor’s house. He took my number, as he was headed to another job, and said he would call to set up a time to do an estimate. He called later that day and was on time for the appointment a few days later. He gave us a quote at the appointment, in writing. We had them do about 600 sq. 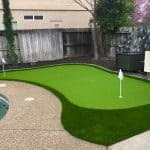 ft. of sod, bender board, bark, 15 shrubs, 4 trees, sprinklers, drip and valves. They were able to start the next day and were done in 3, as quoted. 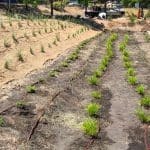 We had added some shrubs and trees on the last day, and they were able to accommodate without adding additional time to the job. Everyone was friendly and professional, and we couldn’t be happier. We definitely recommend Salens! 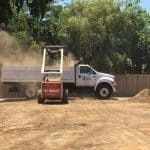 We had this company come out and give us a bid for some cement in our backyard. They were quick and gave us a estimate on the spot which was awesome. 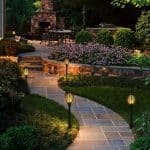 It’s hard to find companies that do quality work I would have to say salens Landscaping is a great company to work with. Not only does the crew work hard they are friendly and are willing to work with you on any concerns you may have. 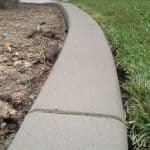 My wife and I had them do a concrete driveway, a stamped walkway and a retaining wall and also sod and all looks great salens son stop by and walked me through everything they did and could not be more professional they will definitely have my business in the future. Very prompt and very courteous service!! The bid was done the same day it was requested, and the job was done within a couple days of placing the order. 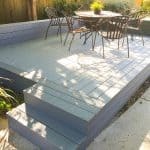 I had a large ugly slab of concrete removed from the back yard, and they left the area looking clean and tidy. Very happy customer here.